In a time when text messages, tweets and other social media postings have largely replaced letters, the postcard endures as a soulful, funny, poignant, radical, edgy and highly collectable artifact. 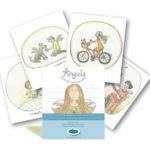 This set of 20 postcards will follow the tradition of intriguing and varied design and will provide a communication tool between youth and the adults around them. 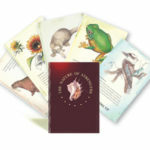 They can be given to someone, slipped under a door, mailed, pinned up or kept as a momento. 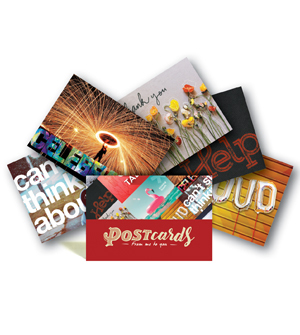 With these postcards a person can ask for help, say how they feel, congratulate someone, say sorry, say thank you, speak out about anything, or offer support. You receive 3 of each card in this initial set ie. 60 cards in total, and can order replacements of individual cards in packs of 10. Make them freely available for young people’s use; you never know—one may appear under your door when they can’t say what they need to say face to face. POST cards from me to you was commissioned by Paul McDonald, CEO, Anglicare Victoria. Here are a few words from him. 148 x 105mm, polypropylene box. They are collectable, they are soulful, they are edgy.